Affordable dentures from the best dentures dentist in Brooklyn help you look and feel your best. 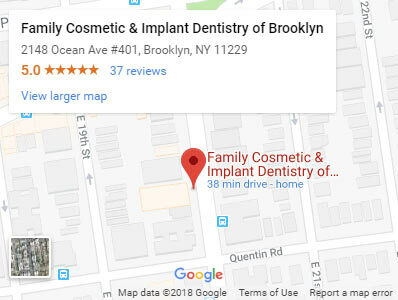 Whether you need partial dentures, denture repair, a full set of dentures with denture implants, or just the most natural-looking dental dentures, you’re in good hands at Family Cosmetic & Implants Dentistry of Brooklyn. 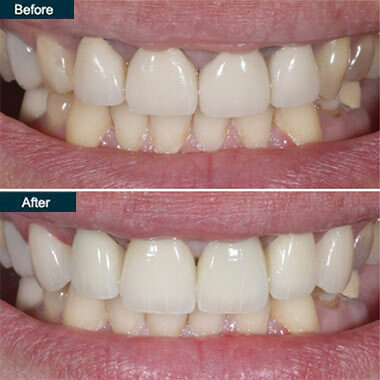 It’s natural to want to look your best, and when you have one or more missing teeth, your Brooklyn cosmetic dentist may recommend dental dentures. Dentures are removable false teeth that can replace the teeth you’ve lost, giving you back a natural-looking smile and restoring your ability to chew and speak without difficulty. It’s easier to eat and speak when you don’t have to contend with missing teeth. They fill out your smile, particularly if you’ve lost all your teeth. Our natural looking dentures can be made to closely resemble your natural teeth in shape and color. Affordable dentures provide options when you can’t afford implants, the alternatives to dentures. If you have to decide between dentures vs. implants, you’ll get viable options — as well as the pros and cons of each — at your Brooklyn family dentist. When you’re thinking about getting the best dentures available, our denture specialist first examines your mouth to determine how many teeth are missing. You may have remaining teeth that need to be extracted because of tooth decay or gum disease. If you have teeth pulled, your gums need to heal before your cheap dentures can be created. Healing may take up to 12 weeks, but you need to be completely healed so that your tissue isn’t still changing shape. After you and your Brooklyn cosmetic dentist decide to proceed with getting dentures, a series of molds are made of the tissue that will support the natural looking dentures appliance. This is usually done using wax, so it doesn’t cause any discomfort. Dentures are custom-made in a dental lab, usually from acrylic resin. The false teeth are made of plastic or porcelain. You need to visit a denture specialist several times as the dentures are being created to be sure they fit properly and look good. Temporary dentures, also called immediate dentures or same day dentures, allow you to have a natural look while you wait for your permanent dentures to be created. They fit whether you’ve lost all your teeth or just one or two teeth. Immediate dentures are usually made of acrylic. They’re meant to be a short-term solution designed to last two to three months. The fit isn’t exact and frequent adjustments may be necessary. If not all your teeth are missing, partial dentures can fill in the gaps. These are removable dentures that replace your missing teeth and can help you speak and eat properly and without issues. They may suffice as affordable dentures for a period of time. The replacement teeth on a partial denture are usually attached to a gum-colored plastic base which may be connected by metal framework. 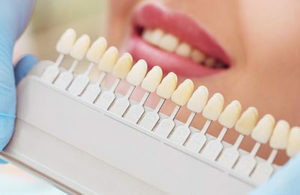 You may need crowns on your natural teeth to improve fit. A partial denture is an affordable alternative to a bridge too. Complete dentures replace all your teeth. They’re created just for you. Removable dentures, also called snap in dentures, are held in place by dental adhesive, suction or both. You have to remove them from your mouth twice a day for cleaning. They are the most affordable dentures. The average cost of dentures greatly depends on the condition of your oral health, types of dentures needed, and the number of teeth that need to be extracted. If you’re concerned about dentures cost and only want cheap dentures, then same day dentures may not be for you, since immediate dentures cost more than regular dentures. Ask your best denture dentist at Family Cosmetic & Implants Dentistry of Brooklyn which false teeth are the best dentures available for you. When you first get dentures, you may have some minor mouth irritation, which improves as you get used to the false teeth. If a sore spot develops, your Brooklyn dentures dentist can make adjustments to relieve the discomfort. At times, denture repair may be needed. The side of your dentures that touches the soft tissues in your mouth may need to be re-aligned to make it fit more securely. If your dentures fit poorly, they may need to be replaced. You may need some form of denture repair or adjustment every few years. With the right set of best dentures and the care of a skilled Brooklyn general dentist, you will have natural looking dentures that will function a lot like your natural teeth. If you’re looking for the best dentist in Brooklyn, call today and learn about your options for cheap dentures. 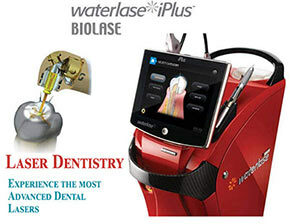 Do you have any questions about the affordable dentures (full, partial dentures, denture repair) procedure in Brooklyn? 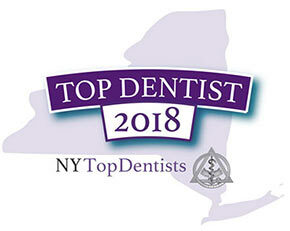 Would you like to schedule an appointment with the Brooklyn cosmetic dentist and denture specialist Khabensky DDS of Family Cosmetic & Implants Dentistry of Brooklyn? Please contact our dental clinic for a consultation with the denture dentists Alex and Igor Khabensky DDS.